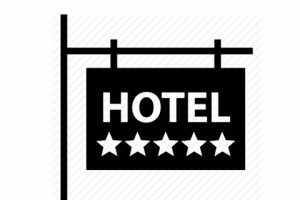 The Lodging Tax Advisory Committee is tasked with helping promote tourism in the City of Ferndale by making recommendations for grants from the revenues of hotel-motel, or lodging, tax. Pursuant to Chapter 67.28 RCW, City’s may collect lodging taxes and use those revenues for tourism promotion, tourism-related facilities or to fund certain nonprofit organizations’ tourism-promoting events. State law also requires any proposed modifications in the lodging tax rate or how the tax is collected by the City Council to be submitted to the LTAC for review and comment. Riley Sweeney, Communications Officer for the City manages the Hotel-Motel Grant Program and provides staff support to the Lodging Tax Advisory Committee. The LTAC’s regular meeting is at 3 p.m. the fourth Tuesday of November each year. Special meetings of the LTAC may be called as needed and will be noticed to the public pursuant to the state’s Open Public Meetings Act (Chapter 42.30 RCW). The City accepts applications for boards and commissions year-round, not just when there is a vacancy. If you feel you have something to contribute, please fill out an application and send it to City Clerk Susan Duncan. You can find the application here. Membership Requirements: State law is very specific about who may serve on the committee. RCW 67.28.1817 calls for at least two members to be representatives of businesses required to collect lodging tax, at least two members to be persons involved in activities authorized to be funded by those tax revenues, one member must be an elected official of the City who shall be the chair person of the committee. In Ferndale, the committee includes both a member of City Council and the mayor. A committee member serves a term of one year, though the City Council is charged with reviewing membership of the committee annually and making changes as a appropriate, so members may — and typically do — serve longer than one year.